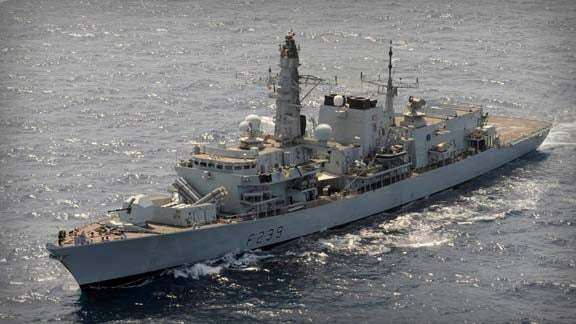 HMS Richmond (F239), the UK Royal Navy’s Duke class type 23 frigate, has set sail for sea acceptance trials (SAT) after the successful completion of a on month refit programme on schedule and within budget. The £20m extensive upgrade and maintenance programme, performed by Babcock at its Devonport Royal Dockyard facility, was intended to enhance the frigate’s operational capability and interoperability. Babcock Devonport Warship Support head of operations Mike Weeks said that based on previous experience, the Babcock team had made a number of production process improvements on the frigate to optimise efficiency, safety and cost-effectiveness. "Our close working with the MoD and ship’s staff to address the various challenges involved has enabled us to deliver Richmond safely, to quality and schedule, and at optimum value for money," he said. RN superintendent fleet maintenance (Devonport) captain Chris Saxby added that Richmond had successfully completed ready-for-sea-date inspection to start sea acceptance trials and was in good shape to achieve the fleet date later in the summer. The upgrade included the ship’s main weapon and communication systems, such as the DNA(2) command system, 30mm automatic small calibre guns and the SeaWolf mid life update (SWMLU) to provide enhanced capability to counter an evolving anti-ship missile threat for the existing system. In addition to a number of capability upgrades and extensive outer bottom hull repair, the refurbishment also included installation of defence information infrastructure (future) (DII(F)), power and data cables throughout the ship to enable information sharing across the Armed Forces. "Richmond’s SSPD(3) has been a very demanding engineering project with an extensive structural engineering repair programme involving over 250 structural inserts," Saxby added. The frigate will undergo sea trials to confirm the performance of its equipment and ability to respond to any emergency situation. Image: HMS Richmond to commence SAT following successful completion of Ready for Sea Date Inspection. Photo: courtesy of the Royal Navy.